Have you heard about a gel polish that does not need any UV Lamp? That is exactly right, Sally Hansen just made it possible for us to do a DIY Gel Polish at home. 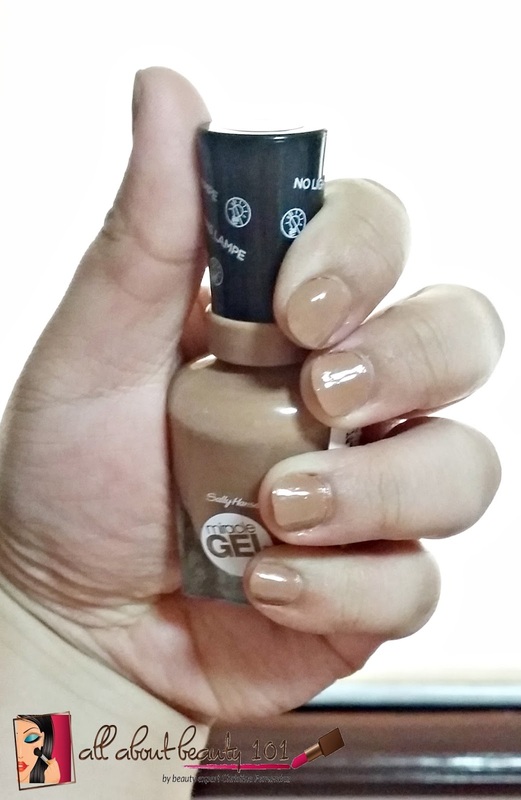 I only discovered this nail polish through BDJ Box's Glam Indulgence event last June 26. I was able to hoard most of their great products because the sale is 50-70% off. Product Description: The #1 zero light gel system! * In just two easy steps get up to 14 days of color and shine. More chip-resistant than regular nail polish! The gel is easy to apply. The consistency is a little thick but easy to spread. The color is already great at one coating but it is better if two coats were used. After application, it took less than an hour to be fully dried. The miracle gel when worn alone lasted for at least 5 days but the shine is dull and it started to have some scratches and the tip of my nails started to chipped off. With the top coat gel added, it lasted longer but it does not look as pleasing compared to the freshly applied polish. I like their brush wand, the bristles are thin and wide. The shade Tan-acious is really tan but can be worn everyday. I love that it really looks like a gel polish on my nails. It promoted 14 days of color and shine but I did not get to experience that. The shine lasted for less than a week and after three days, it started chipping off on the tip of my nails. Just a note though, I work in a busy area and I use my hands to do my work like opening vials and frequent use of strong hand wash and sanitizers at the hospital.